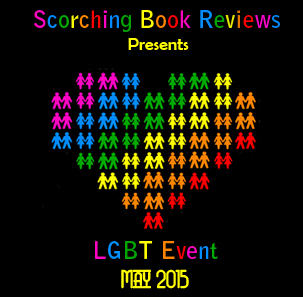 For the last three years I have hosted an LGBT event here on the blog during the month of May. On the event, we invite everyone to discuss LGBT fiction and why they read it. Some of my favorite blog guest posts have been posted during this event and I am looking forward to seeing what people come up with this time round. We are lucky enough to have authors who read and write the genre participating in what looks to be an epic month; I can’t decide which post I am looking forward to more. On every single day, there will be an LGBT themed post and on quite a few there will be prizes. As I am doing a post later in the month, I leave my thoughts on the genre until then. I hope this event can tempt you to try some new authors and maybe some new genres … it does me every single year! The posts this month include musings from…. I love M/M books they are all I read now I’m looking forward to reading all the posts and of course expanding my wish list! !